I was thinking the other day — an endeavor that usually gets me into trouble — about how descriptors for wine and art share much in common. So many of the expressions used by wine writers to evoke desire in the minds of their readers are also used by art reviewers to describe works of art and/or their artists. As a current KMHD 89.1 jazz DJ and a sommelier for more than 25 years, I know jazz to be an art form filled with passion, as is wine. 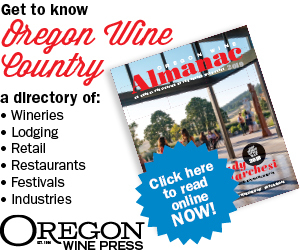 Why couldn’t I put together an article describing currently available Oregon wines and then pair a jazz track with each that basically elicits the same feelings and emotions? Gamay has garnered an army of recent devotees. She’s had my heart as long as I can remember. When right, the blue/red fruit mix that drives this varietal is distinctive and ultra-pliable at the table. L&S’s version is about as pure a Gamay as one could ever hope for. FYI: This isn’t a distinctly compelling or deeply thought-provoking wine. It’s just delicious. One of the West Coast’s finest groups from the ’60s through the ’80s, this band made it their business to put smiles on people’s faces. The Crusaders had a number of incarnations, starting as a straight-ahead jazz band, then moving over to a funkier, electric sound in the early ’70s. This tune swings so cleanly and easily, it’s just joyous. Good Gamay swings the same way. No pretense. After 13 years in Oregon, I’m still not sufficiently adroit at recognizing our terroirs, at least not like I can with Burgundy. Here’s a vineyard I can pick out of a crowd. Momtazi’s nose blasts aggressively out of the glass. The spicy black fruit acts brazen and in your face. It’s unique, and St. Innocent always seems to find a way to bring out the best from Momtazi. I’ve paired Cajun shrimp with this wine in the past, successfully. San Francisco-based John Handy is not a name that immediately jumps into folks’ heads when thinking of sax players. Numerous projects that he associated himself with over the years were a bit left of center. “Young Enough to Dream” is no exception. Its exotic, Middle Eastern lilt — instruments include tabla drum and congas — captivates. Tempranillo can be a bit of a chameleon. Sometimes it’s light- to medium-weight and around 12.5-percent alcohol, or it’s straightforward and powerful. There’s no question which one we have here. Ribera del Duero in style, it features prevalent oak on the nose and black fruit all the way through to the finish. Fire up the grill. I grew up around baritone sax, as my dad played it in the Jimmy Dorsey and Glenn Miller bands, among others. Ronnie Cuber is renowned for his driving, growling style. He loves to incorporate Latino sounds into his work. This composition of his was recorded in Holland with highly accomplished Dutch musicians. It’s the right pairing for this no-nonsense, broad-shouldered Tempranillo. Surprisingly light on its feet, the 2016 Gravel Road Chard meets you with clean green apple and pear tones. Those fuller-bodied, creamy notes that warm vintages instill in white wines aren’t apparent here. Dry and lithe, reminds me of a top-notch Macon Blanc. Sure to be an excellent partner for seafood or poultry. One of the greatest of all jazz guitarists, Grant Green glowed in any setting, but I always liked him best in smaller groups, where his bright and undulating lines stepped to the forefront. He’s working in a trio here, with Hammond B-3 organ and drums. Right from the get-go, this tune is light, happy and determined to remain so. To use Alsace as a yardstick, Gewürztraminer tends to exhibit golden hues, aggressive and spicy aromas and a rich, fuller-bodied mouthfeel. Teutonic’s version is none of the above. It’s a pale green/gray; the nose is rather restrained and tight, plus the acidity is electric. Flavors are vivid and driving, and it worked great with my Dijon mustard- and herb-rubbed chicken thighs. 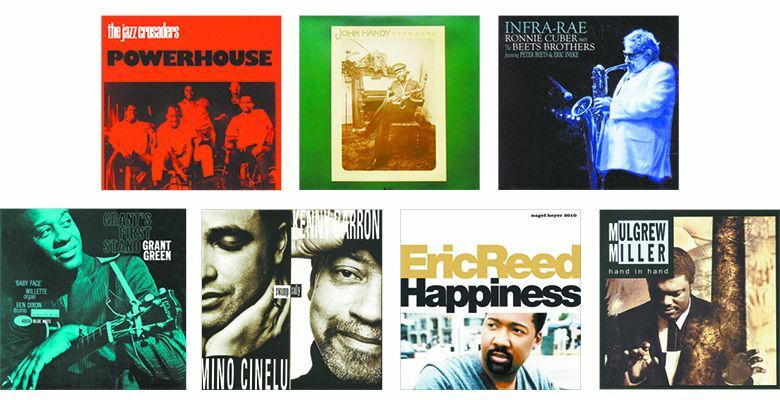 Kenny Barron has been a top-tier, straight-ahead jazz player for dozens of years. He teams up here with renowned percussionist Mino Cinelu — who played with both Weather Report and Miles Davis — and they pretty much jump the tracks together. “Relentless Pursuit” is just that, as it zig-zags electrically and acoustically through numerous jazz neighborhoods. It’s a wild ride. This cooler vintage got short shrift from many, coming in the middle of warmer ones. It’s not deeply colored — which is fine; this is Pinot Noir — and the nose is earthy and complex. The French have three names for cherry: cerise (table), Napoleon (sour, bright red) and griotte (black); I got all three on the palate, which will only improve after a few years in the cellar. Cool, intricately funky and a truly beautiful arrangement, this song weaves you into its DNA, and you’re happy to be there. Timeless jazz from an under-the-radar artist of great depth. This wine challenges my palate preferences. Generally, I go for Pinots that do pirouettes instead of push-ups. That being said, this one grabbed me. It’s smoky on the nose and somewhat burly, but juicy and smoothly satisfying. I kept coming back for another hit. Confit of duck leg would shine with it. The late Mulgrew Miller never played a solo I didn’t enjoy. With his usual versatility and creativity, “Hand in Hand” remains one of his classic albums, working with an all-star sextet, including the brilliant Joe Henderson. “Grew’s Tune” epitomizes Miller’s music, as it swings bluesy and dark, with great solo efforts from all.